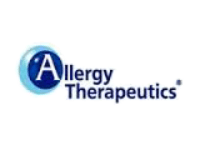 Allergy Therapeutics plc (LON:AGY), the fully integrated specialty pharmaceutical company specialising in allergy vaccines, today announces preliminary results for the year ended 30 June 2018. 2Constant currency uses prior year weighted average exchange rates to translate current year foreign currency denominated revenue to give a year on year comparison excluding the effects of foreign exchange movements. 3Market data and internal estimates for 12 months to 30 June 2018 for Allergy Therapeutics’ direct sales competitive markets excluding UK and Switzerland due to lack of competitor information. Manuel Llobet, Chief Executive Officer, and Nick Wykeman, Chief Financial Officer, will host a meeting and call for analysts to provide an update on the Group, followed by a Q&A session, at 10.30 BST today at the offices of Panmure Gordon & Co, One New Change, London, EC4M 9AF. Dial-in details are: +44 (0) 207 192 8000. Conference ID: 9583215.